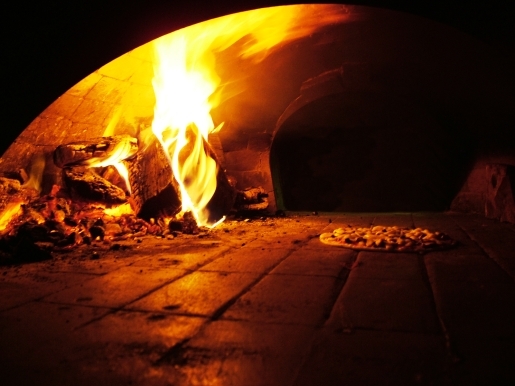 Italian City Baking Pizza With Coffins? There’s not much better than a good old pizza, and if you’re going to make a pizza, you may as well go all out and make it in a traditional wood-burning pizza oven, like the one you see in the picture above. There’s just something about a pizza cooked by fire that just makes it so much better. That’s on of the secrets to the high-quality of the Margherita pizza invented by the people of Naples, Italy. However, police are on the lookout as they believe grave-robbers might be stealing coffins and selling them to fire wood ovens at pizza shops and bakeries! That’s the worry of Italian newspapers like Il Giornale. Noting that over 5,000 flower pots were stolen from cemeteries in Naples last year, they fret that “a gang might have set up a market for coffins sold to hard-hearted owners of bakeries and pizzerias looking to save money on wood.” Of course, there’s no proof that this is actually happening, but police are going to be cautious anyway. Until then, please continue to enjoy your fine dining experience!